Twenty years ago, in 1997, the Field family planted a 4,500 tree olive grove in St Arnaud in the heart of Victoria, Australia. The idea was to produce high quality extra virgin olive oil from the mixture of trees representing the main Mediterranean varietals. In the search for unencumbered information on how to develop a grove and produce extra virgin olive oil of a world standard, two subsidiaries were launched, Olive Business and Extra Virgin Olive Oil Savantes. 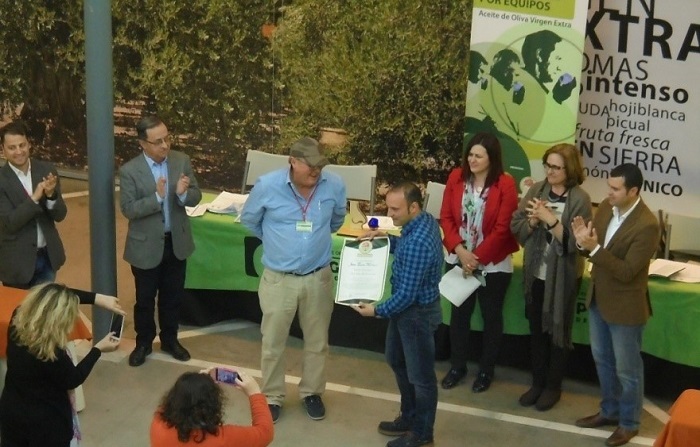 The former was a vehicle to organise seminars and conferences to garner technical information on olive production, the latter to bring together the world’s best olive oils and learn to taste them. Olive Business continues to provide updated technical input for the olive grove and the production of high quality table olives sold into the discerning Melbourne gourmet market. Savantes does not accept sponsorship or any other inducement from third parties, commercial or institutional. The olive oils used in all programmes are selected on merit, including flavour and service, from all the producing regions around the world. 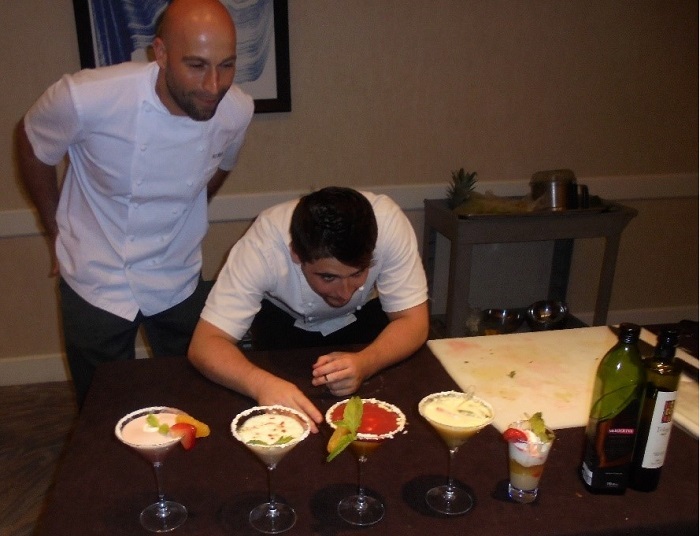 An important element of the programmes is to review and recognise the tasting skill of participants. As the Savantes rubric describing flavour and scoring those undertaking the review is consistent around the world at all events, the recognition of skill gives an international comparison. 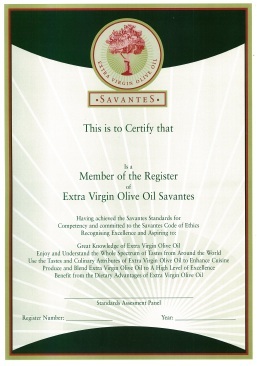 The two levels of recognition and Certification are Associate Savante and Membership of the Register of Extra Virgin Olive Oil Savantes with full Savante status. Currently there are 55 Associate Savantes and three Savantes – two from Spain and one from the USA. Associate Savantes are domiciled in Spain, USA, Australia, New Zealand, Canada, Ireland, France and Holland. 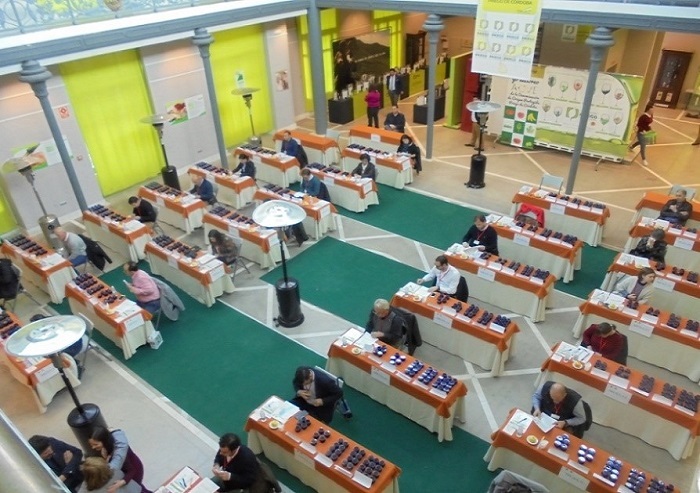 In cooperation with other like-minded organisations, Savantes also coorganises extra virgin olive oil team tasting championships in Spain, USA and France. Negotiations are being held with many other countries to hold championships with the goal of holding a World Extra Virgin Olive Oil Team Tasting Championship in the near future. The aim of these events is to lift tasting standards, learn the flavour of cultivars from different regions and to generally have fun. 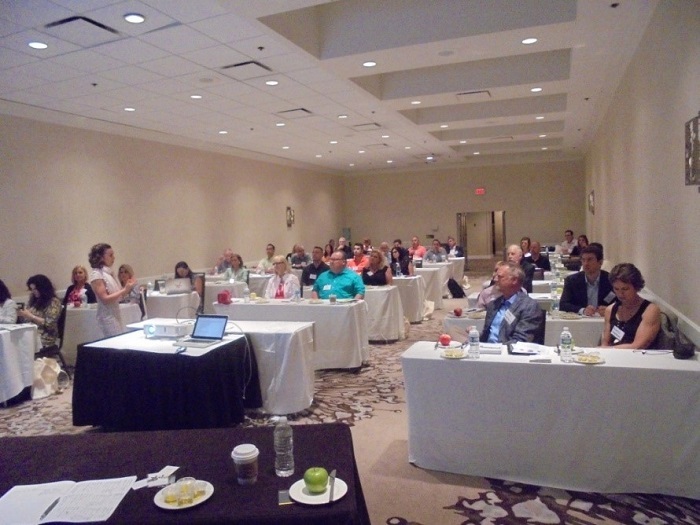 Savantes with the North American Olive Oil Association co-hosts the annual Olive Oil Conference in Chicago. The mantra of the Conference is to demonstrate why olive oil is good for North Americans. It covers the main areas of this contribution: flavour in food, health benefits, employment and profitable business. The Conference speakers are carefully selected to present innovative ways of using olive oil in food, cosmetics and manufacturing in general and advice on making all business enterprises more successful. Recognising that there are many competent tasters who do not see the need to participate in further training programmes, in 2018 Savantes will introduce the Savantes ‘Review and Recognition’ programme. This will normally follow a training programme at a location and comprise a day during which there will be up to four sessions of the Savantes Review tests. 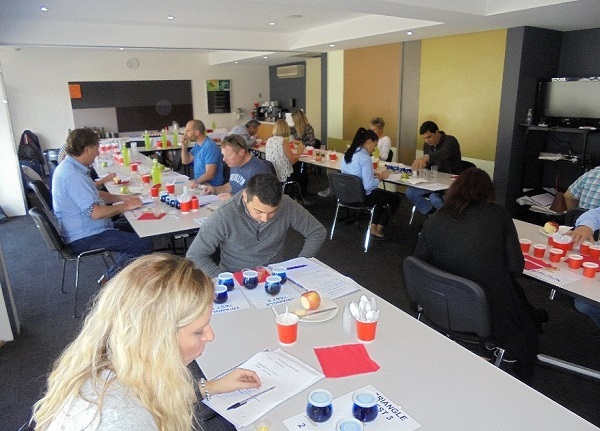 Attendees will be able to undertake the tests, be given their results in confidence, and recognised as Associate Savantes or Savantes if they achieve the prescribed scores. This recognition has benefitted many participants through better product quality control, career advancement and inclusion on tasting panels. The success of the Savantes initiative has been recognised internationally by important organisations. QvExtra!, the leading Spanish producer association, has conferred the honour of ‘socio colaborador’, or cooperating partner and Lux Magazine Food and Drink Awards in the United Kingdom has awarded Savantes with ‘Olive Oil Experts of the Year – Australia’. More recently Savantes was invited to make a special presentation at the Italian Cultural Institute in Los Angeles to mark the 150th anniversary of Filippo Berio. 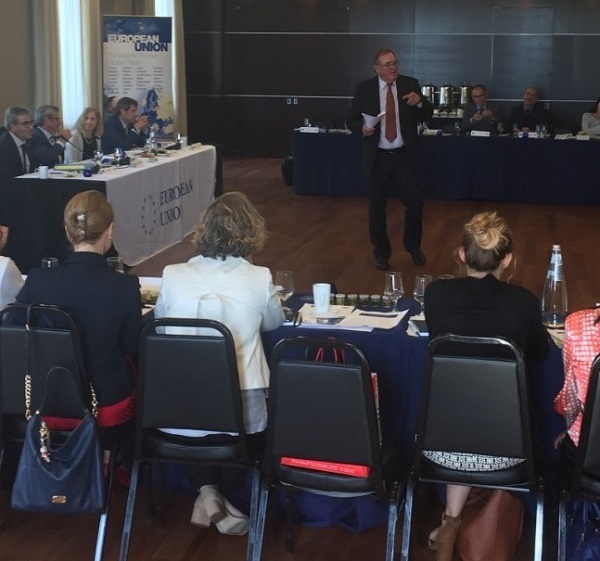 Savantes founder and presenter, Simon Field, presented a tasting of Mario Solinas Award winners at a European Union Delegation to the USA roundtable and tasting ‘Ensuring EU Olive Oil Quality’ on Capitol Hill in Washington for Congressional aides and trade emissaries. The purpose of Savantes is to encourage a high level of tasting skill throughout the industry as the way to ensure the high quality of olive oil products reaching consumers. We also encourage innovation in the use of extra virgin olive oils. To this end Savantes is engaging with Associates and Savantes to assist in presentations of programmes, conferences and championships in many locations. Eventually responsibility for presenting these events and perpetuating the Savantes Rubric will pass to this core group of highly competent professionals.